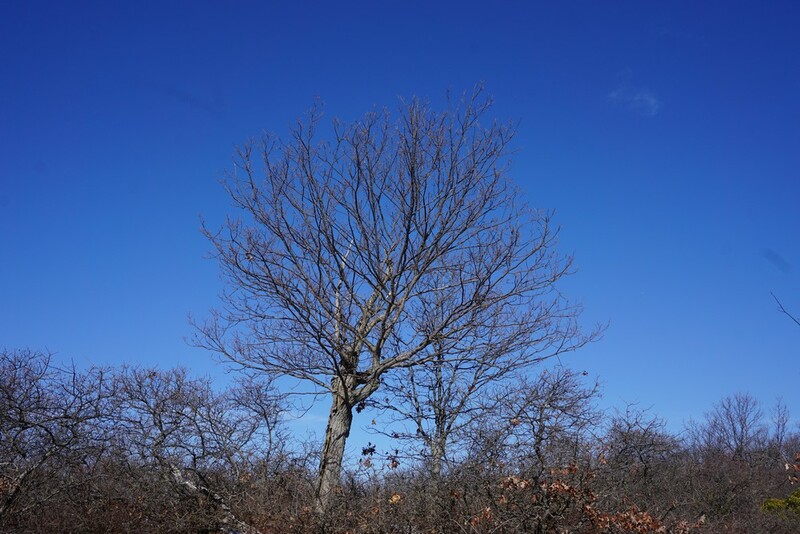 This was a seasonably cold winter day, with a bright blue sky. 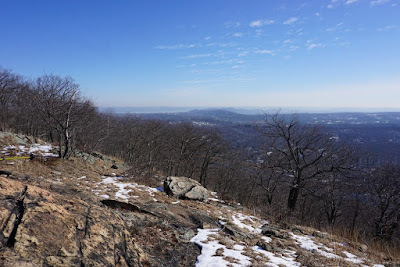 We started by Willow Tree Park, and walked through some nice quiet neighborhoods until we got to the trailhead for the Pine Meadow Trail. 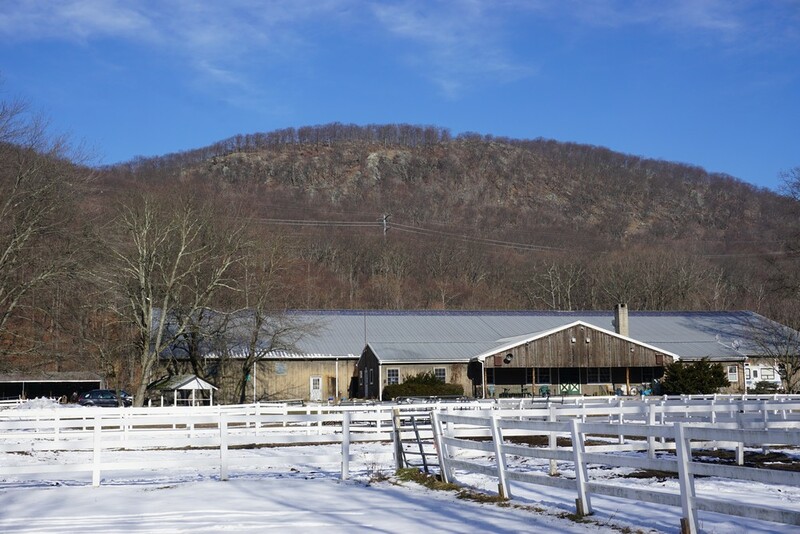 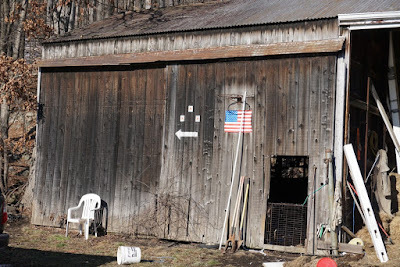 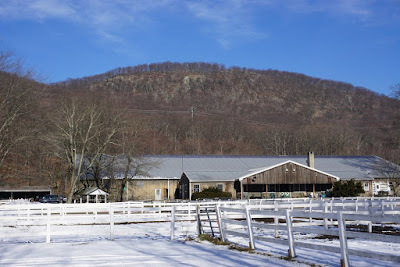 The trailhead is at the Ramapo Equestrian Center, and it starts right behind the horse stables. 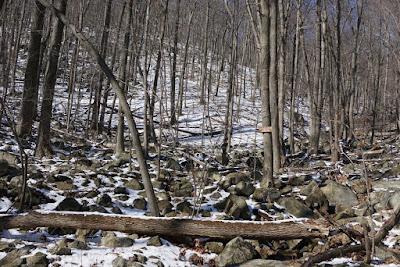 We took the trail up, as it goes along the gas line and crosses the power lines, and then continued on the trail as it climbed the trail in the notch. 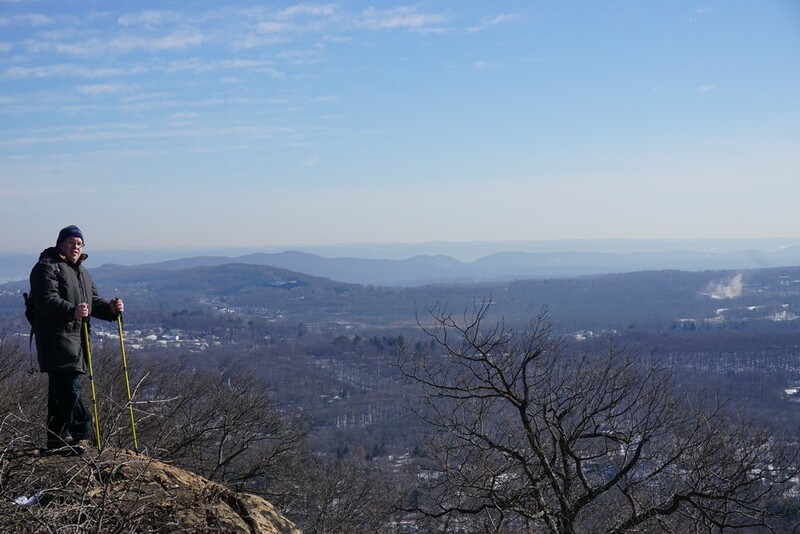 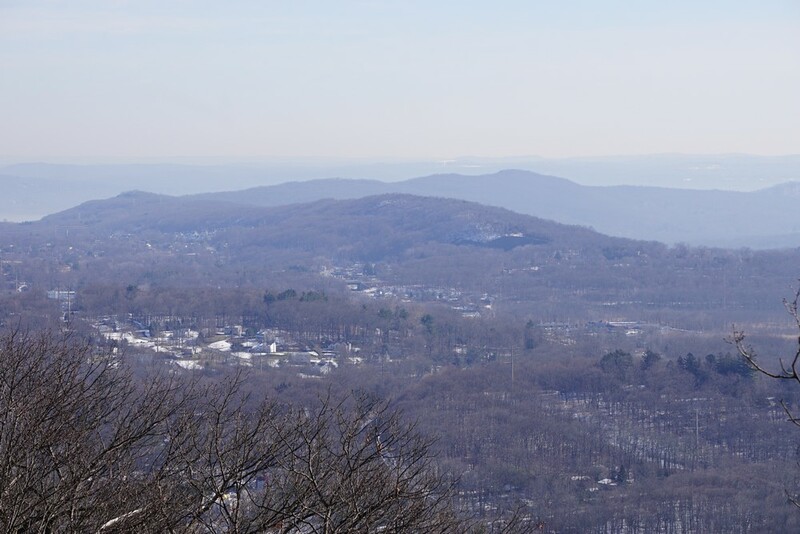 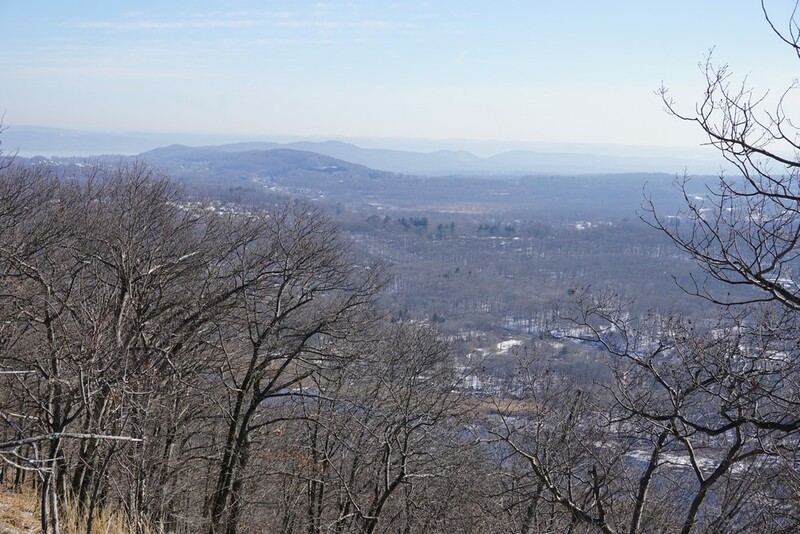 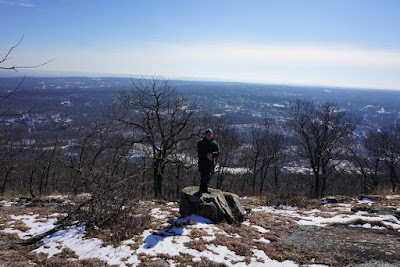 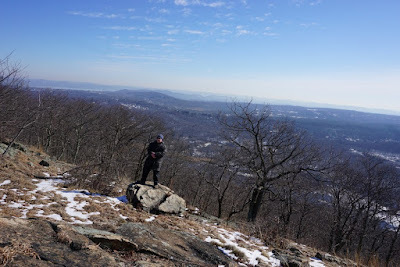 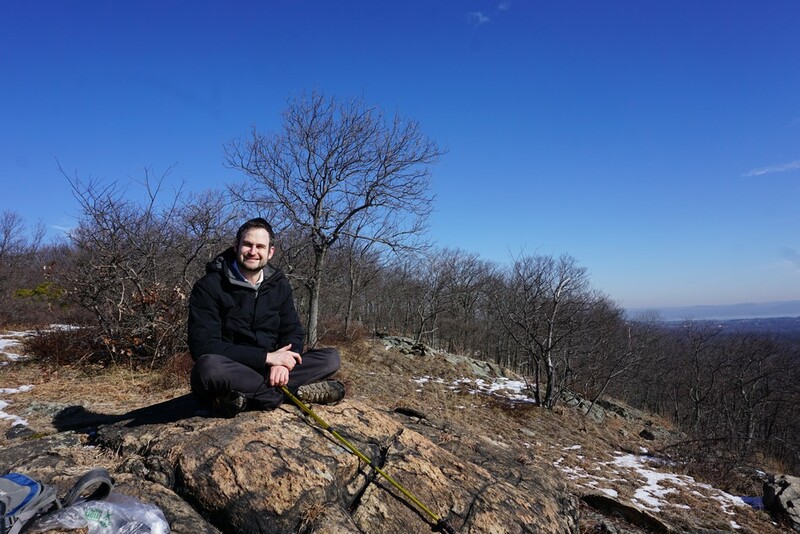 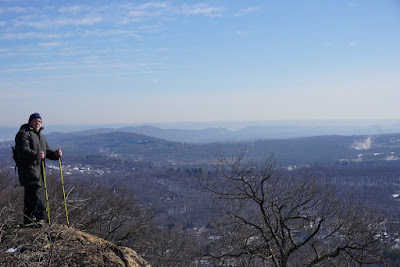 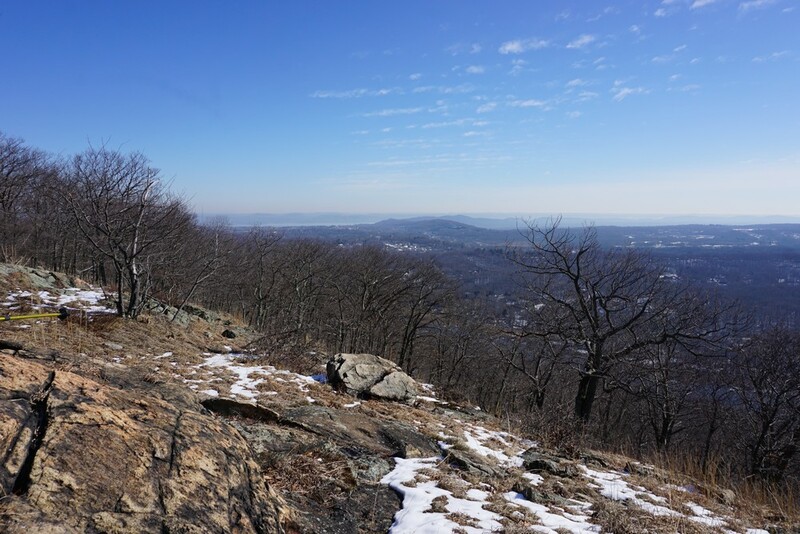 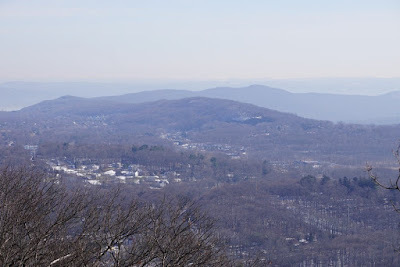 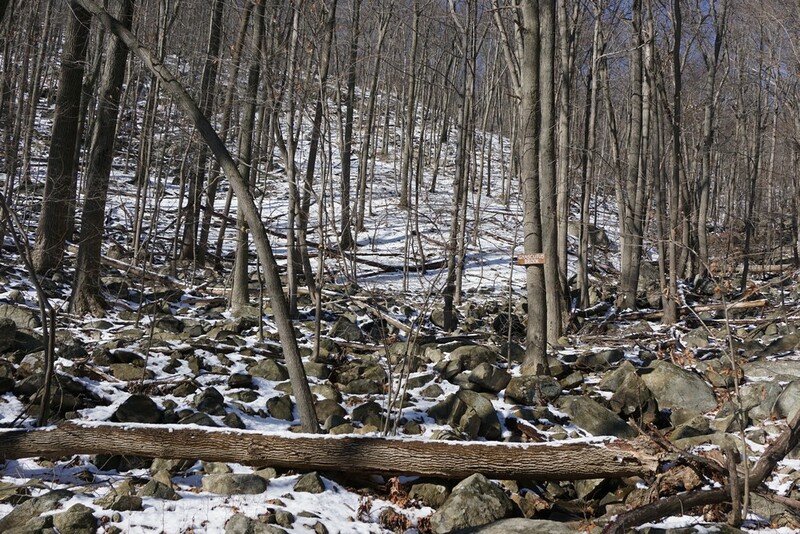 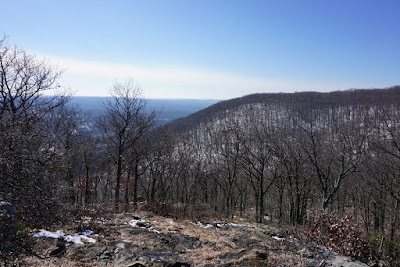 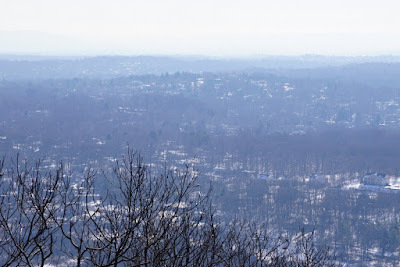 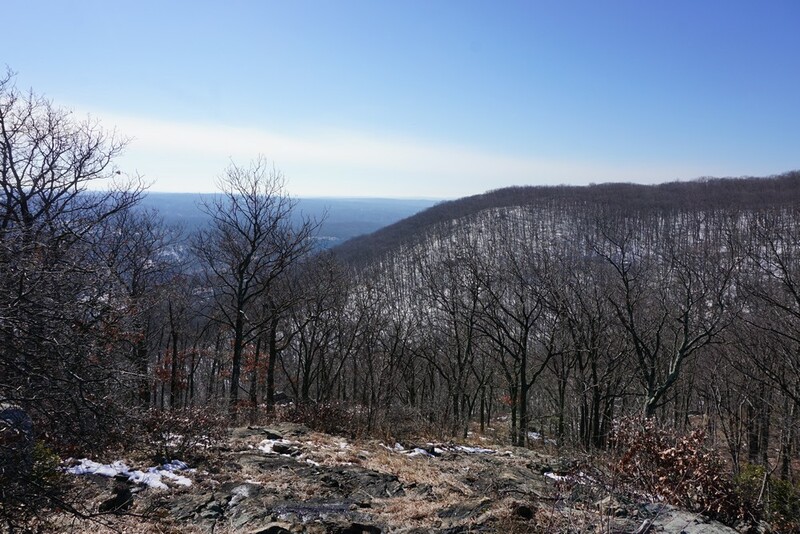 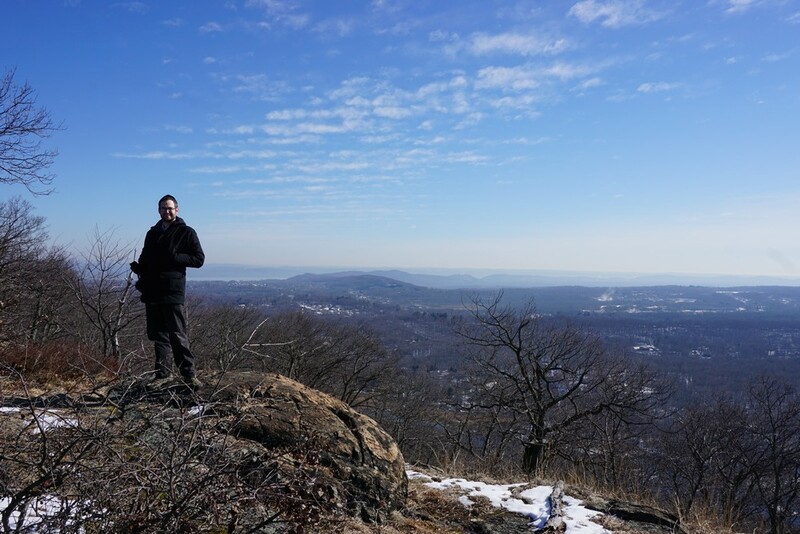 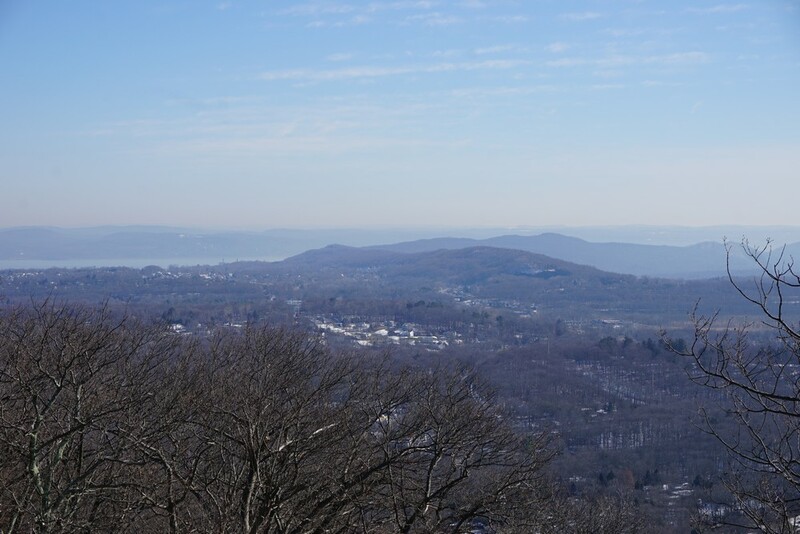 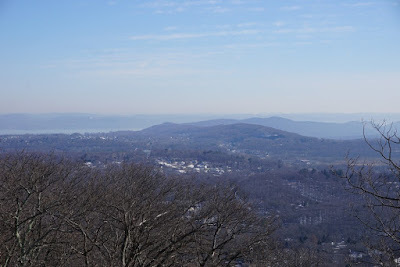 At the intersection of the Suffern-Bear Mountain Trail, we took this trail north to the summit of Panther Mountain, which as a great view facing east and south. The Manhattan skyline is usually visible from here, though it was a bit hazy. 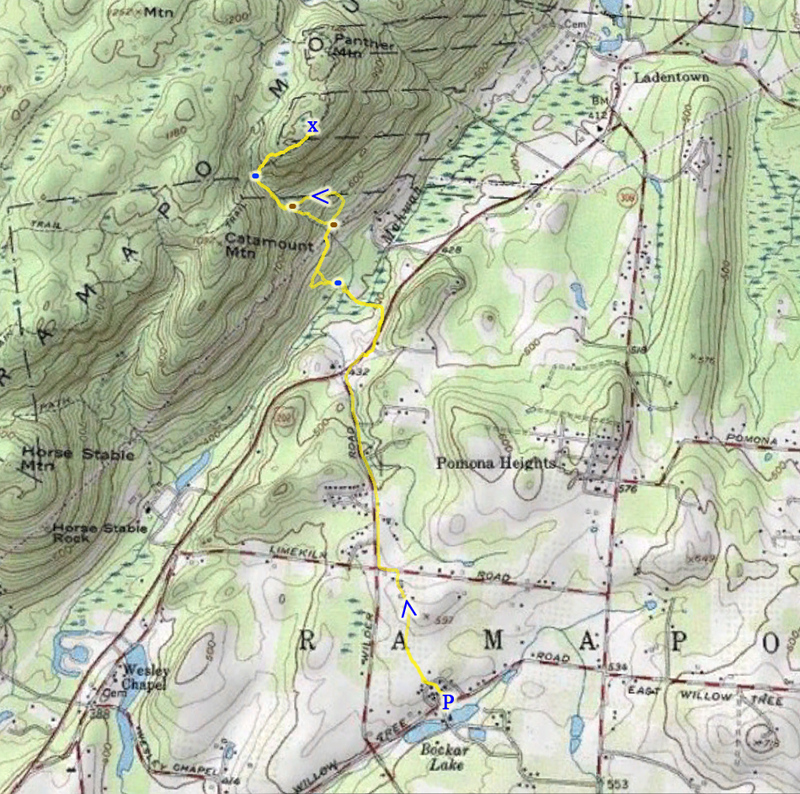 We then turned around and went the same way down, though we cut across the shortcut along the stream past some nice cascades. We got a ride back to Willow Tree Park the area while walking on Route 202.